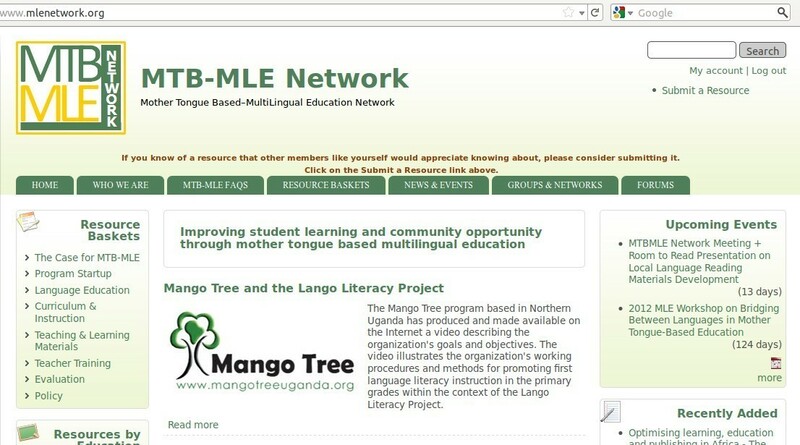 I enjoyed an article (with a nice 15 minute video) on the Lango Literacy project in Uganda. The Resource Basket has 7 subtopics with lots of articles. I e.g. clicked on "Policy" and found about 15 articles on the topic. There is also a way to submit new articles yourself. Of course there is an events calender and there is a forum for discussions. I would recommend to subscribe to the website (Right hand corner) so that you have more privileges, can join in focus groups and get updates send to you. Unfortunately, this push for international language isn't working for those most in need of the economic opportunities it brings. In many countries a large proportion of children's school drop-out rates and poor performance is caused by their inability to understand the English used in class. Teachers don't have good English themselves, which stops them using interactive teaching approaches. A lack of textbooks worsens the problem. For several years it has been accepted that children who don't already speak a language such as English won't learn well in English-medium education. Children learn language based on context and communication. In rural areas, children who grow up with one language will not "pick up'" another language for the few hours they spend at school, especially when most lessons involve passively listening to a teacher. A number of courses will be delivered in both Serbian and Albanian, with the proportion of Serbian-language courses gradually increasing during the four-year programme. This will give students from ethnic Albanian backgrounds the opportunity to both access higher education in their mother tongue, while also improving their proficiency in the State language, and is the first such initiative in Bujanovac. "This model is an example of how multilingual education can solve the dilemma of 'either mother-tongue or State-language education'. 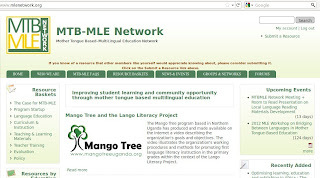 The educators' and authorities' joint effort here demonstrates that,"
Multilingual education allows teachers to gradually introduce the official language of Bengali, so that towards the end of primary school students can switch completely to the national curriculum, which is taught in Bengali.This approach is delivering tangible results in a region where low school enrolment and high drop-out rates have been a problem for years. The change is being felt by all. “Now children are improving their learning in their mother languages and this has made them enthusiastic to come to the school regularly,” said Sujita Tripura, a multilingual teacher in Matiranga. “The community here has accepted the new system of education and the children really love the way we teach.” Multilingual education is providing these young children with the incentive to come to school and to stay there at a time when they are just starting down their educational paths.